I began paddle surfing at 11. My dad started before it was big in the UK. He mainly SUPed at his watersports club on West Wittering Beach (WWWC and X-Train) – that’s when I got into it. My favourite discipline is by far surfing. I usually practice at my local Wittering breaks – east or west, depending on where the surf is best. Cornwall and Devon have some great places to surf. Croyde and Watergate Bay (where the annual BSUPA Nationals are held) are awesome. When the surf is pumping at home I have some of the best sessions though. Personally, I would choose Hawaii. I’ve been to Maui quite a few times and had some great sessions – warm ocean, sun and perfect waves do it for me. Out in Maui, last year, the waves at Kanaha Beach Park were pumping. It was overhead and super clean. I was out for hours surfing the glassy waves and saw a few turtles and a sting ray. It was just one of the best and most memorable sessions I’ve had so far. Hopefully there will be many more like it to come. Mostly my dad – he’s my paddle buddy. My friend Lucy, who longboards, also comes with us sometimes. Bethany Hamilton inspires me as a surfer as well as a person. My best achievement was BSUPA National Surf Championships 2013 – I won the women’s and junior event and became Women’s Champion. This has now allowed me the opportunity to go out to Granada, Nicaragua and compete in the ISA World Championships. I want to give it my best shot at the Worlds – I’ve been training hard in and out of the water so I’m hoping this gives me the best possible chance at success. I’m also working hard to achieve good grades for my GCSEs. Nicaragua in May for the competition. I wouldn’t say I feel the pressure, I do want other people to enjoy SUP like I do though. 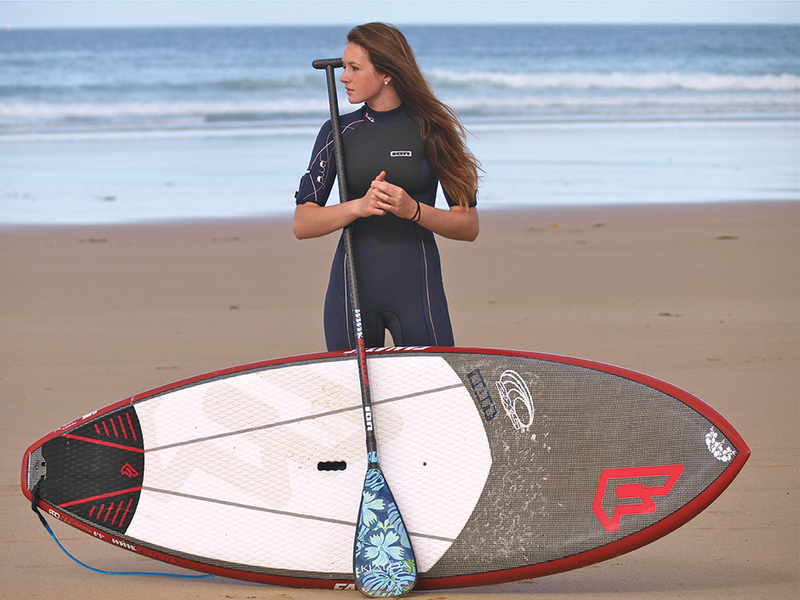 At the moment SUP is one of the fastest growing watersports in the UK and I can only see it continuing. Potentially, I’m sure it can. 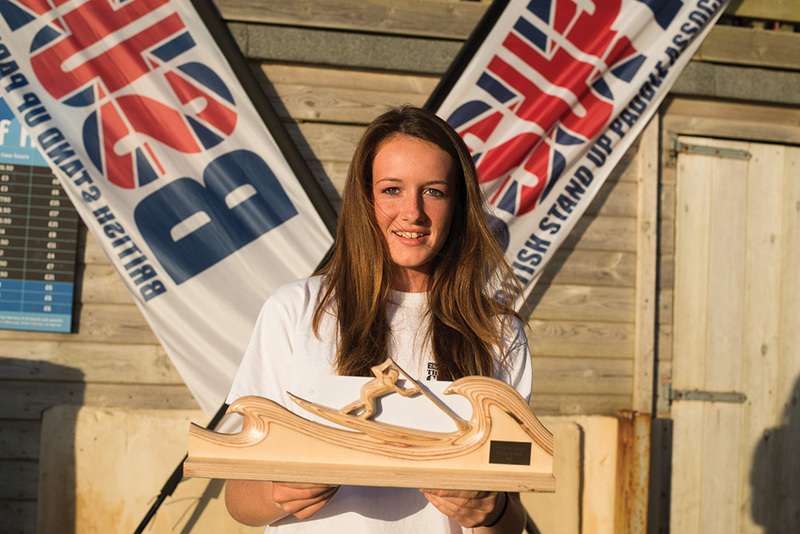 We have some amazing paddlers in the UK – all on par with other countries. More people joining the sport can only maximise our chances. More people out on the water! The board and paddle because without it I wouldn’t be able to SUP – haha! 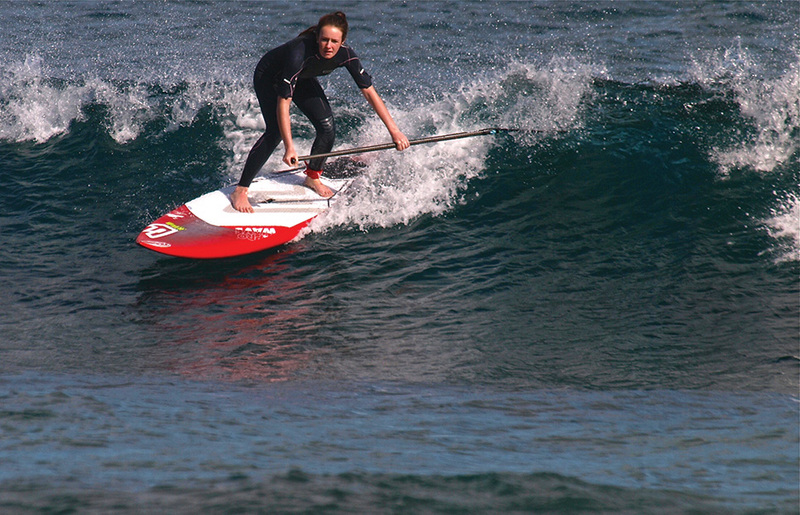 I want to thank Fanatic and Ion for my boards and wetsuits, and Seasprite UK for my Kialoa paddles.